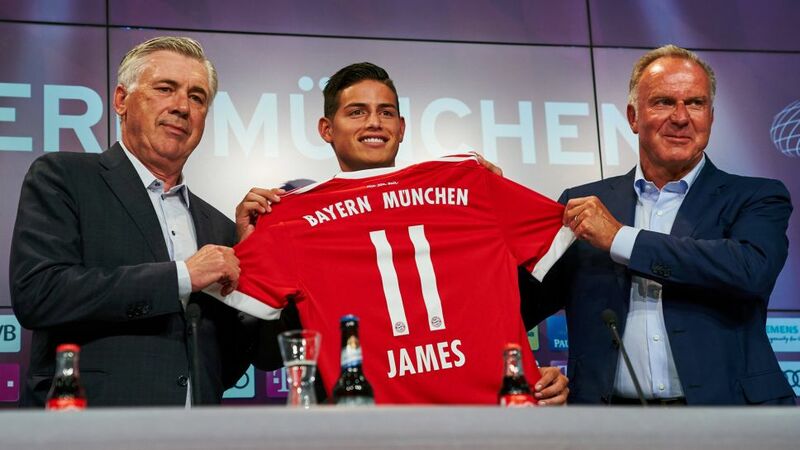 The long wait for a big-name summer signing at FC Bayern München came to a spectacular end when the German champions announced the addition of Real Madrid CF's James Rodriguez to their ranks. The Colombian attacking all-rounder, six-goal top scorer at the 2014 FIFA World Cup in Brazil, arrives in Munich on an initial two-year loan with the option of a longer-term deal at the end of that period. As well as significantly broadening their fan base in Spanish-speaking countries, the man assigned the number 11 shirt previously worn by Douglas Costa – now on loan at Juventus FC – is another top-end addition to Bayern's already fearsome attacking arsenal. At a maiden press conference coinciding with his 26th birthday, after two largely forgettable years in Madrid, he admitted to being “fired up” at the prospect of starting a new chapter in his professional life and hopeful of “enjoying success and writing history here.” In that he is not alone, having been brought on board at the behest of Carlo Ancelotti, his coach at Real in 2014/15. Click here for more Bayern news and features.